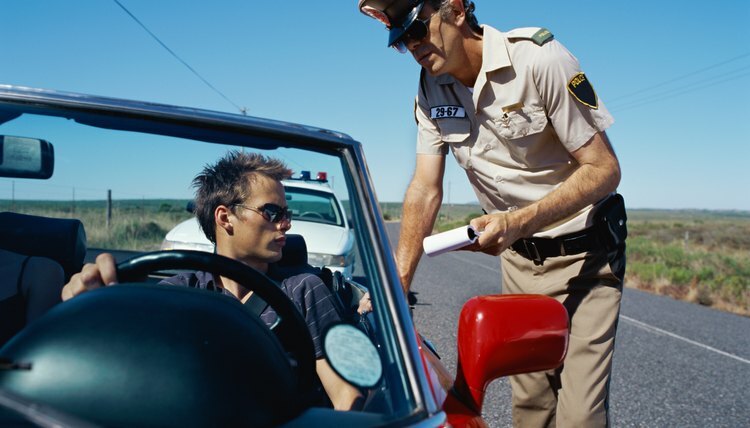 If you have a speeding ticket, deferred disposition may be the two magic words you want to hear. In Texas, defendants who plead guilty or nolo contendere/no contest to traffic cases and certain low-level criminal cases in a municipal court are generally eligible for deferred disposition. Otherwise known as probation, deferred disposition stops the offense from appearing on your driving and/or criminal records. A deferred disposition in Texas defers or postpones the final settlement of your legal proceedings, with certain terms and conditions attached. What is deferred disposition? The court offers the option to “defer” or postpone the disposition of your case and place you on probation for a specified period of time. During the deferral period, you must comply with the terms and conditions of your deferral. A deferred disposition means your sentence is suspended. At the time of your plea, the judge will postpone your sentence but reserve the right to impose it at a later date if you do not comply with certain conditions. If your request for deferred disposition in Texas is granted, you have to pay a court fee as well as state court costs. The amount due depends on the offense and the circumstances of your case. At the end of the deferral period, provided you have met all the conditions of your probation, the judge will dismiss your citation. The dismissal of the citation is not reported to the Department of Public Safety, meaning the citation is not recorded on your driving and/or criminal record. Also, dismissal of a citation should not affect your auto insurance rates or coverage. Eligibility conditions apply to a deferred disposition. The type of offense you have been charged with, the facts of your particular case and/or your criminal history may be considered to determine your eligibility. For example, in Austin, Texas, you are not eligible for a deferred disposition on a moving violation if you are charged with leaving the scene of a collision or passing a school bus, received your citation while driving in a construction zone when workers were present, or have a commercial driver license, even if the violation occurred while you were driving a private vehicle. The terms and conditions of your deferral period, which may last up to 180 days, depend on what you have been charged with, and are at the judge's discretion. Conditions may include posting bond to ensure payment of a fine, paying restitution to the victim, submitting to a psychological assessment, completing a tobacco or alcohol awareness program and not committing any crimes or traffic offenses (including parking tickets). In some cities, such as Mansfield, Texas, defendants under the age of 25 are required to take and complete a driving safety course as a term and condition of probation. Gillespie, Claire. "What Is a Deferred Disposition in Texas?" , https://legalbeagle.com/12304679-deferred-disposition-texas.html. 19 July 2018.